Beer is yummy. Beer is fun to use in recipes. Most of all, beer can be good for your hair. That's right. Beer can not only strengthen your hair but it can add some shine to it. A lot of the shampoos and conditioners most people use actually don't have the best ingredients in them and they weigh down your locks or even dry out your scalp. The malt and hops found in beer contain proteins that nourish hair and the nutrients inside beer can help repair it. That's where Duffy's Brew comes in. 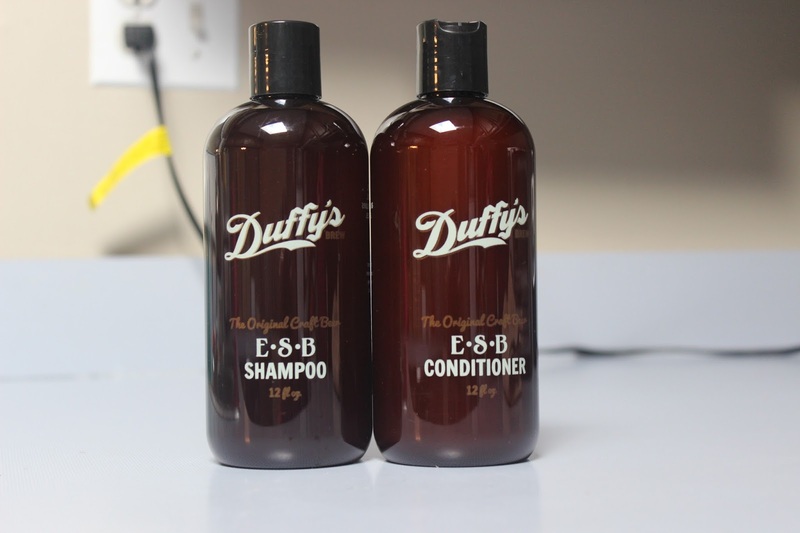 Duffy's Brew started when they wanted to share the magic of beer, shampoo, and botanical extracts with the rest of the world. Duffy's Brew products are 100% Vegan and they are also free of parabens, sulfates, and phthalates. And one of my favorite selling points is the fact that this brand NEVER tests their products on animals!! 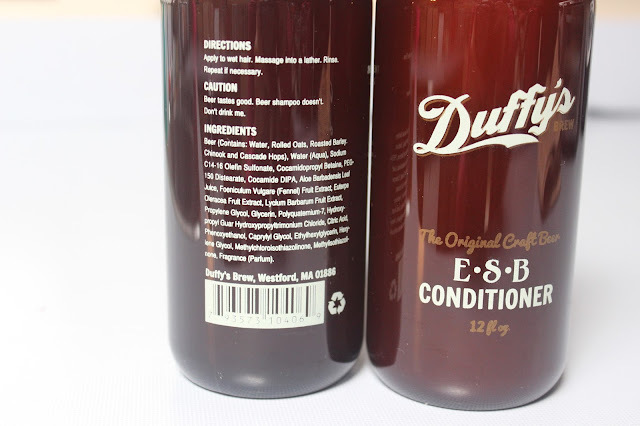 Duffy's Beer Shampoo is made from real beer. It's rich in amino acids and contains hops, roasted barley, and malt to give your hair a nice shine. The Vitamin B, proteins, and minerals help protect your hair while giving you volume. The hops and yeast in this shampoo contain anti-septic properties that help treat dandruff and scalp irritation. Your hair cuticles will tighten and shine more thanks to the maltose and sucrose in the shampoo. There are plenty of botanical extracts inside like fennel seed to seal and protect color, aloe leaf to moisturize and protect, acai berry to energize and stimulate hair growth, gogi berry to repair and restore overprocessed hair, and sunflower seed to give your hair a silky smooth finish. I loooooove the smell of this shampoo. It's very pleasant and the beer scent is definitely not overwhelming. It lathered really well with just a little bit and when I rinsed my hair I didn't feel like I still had shampoo stuck in it. Duffy's Beer Conditioner is just as beneficial as the shampoo but I especially love how silky and tangle-free it left my hair. My hair looked so much shinier and healthier after I started using Duffy's Brew products. I can't believe how amazing they are and I really love the results. A little goes a long way with both products which I really appreciate. I can't recommend Duffy's Brew enough, whether you drink beer or not - you can ALWAYS wash your hair with it! We used to have a shampoo back in the 70's called Body on Tap - also made with beer! I loved that shampoo!! Aw thanks for stopping by Susie! I kinda do haha bc i love the smell!